The all new Nitro 17 is the younger brother of the Sport with slightly reduced velocity and the same all weather durability. 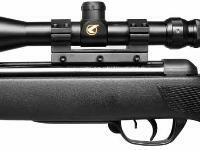 Slightly reduced size, but no less potent with 1000fps with PBA and 850fps with lead pellets. 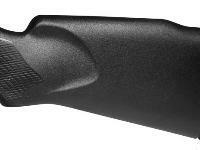 New carbine-length all weather composite stock with rubber forend inserts for a solid grip. 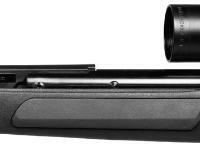 Precision rifled steel is mold-jacketed with high-tech polymer to create a fluted bull barrel, which enhances balances and reduces cocking effort. 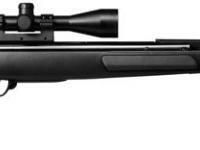 Includes a 3-9x40 precision optic. 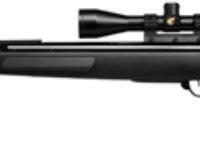 Things I liked: Has great power, great scope,very nice grip and can has the power 2 kill small game with hunting pellet( the higher the gran the better. Things I would have changed: Should have added something 2 quiet it down a little. What others should know: Great gun for long range capabilities up 2 90yards. 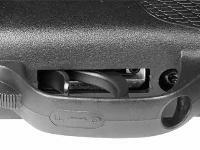 What others should know: Over all good gun, very light and sleek! Is the stupid noise due to the fact that this rifle has a Nitro Piston instead of a spring? Although it's called Nitro 17, it says the powerplant is spring piston...I'm confused. Things I liked: This is my first airgun. And im glad it was because its a pretty nice rifle. First I got this for shooting squirrels in my backyard. My dad said you cant kill a squirrel with a air rifle. Well I proved him wrong. The second day after I got the gun I got 4 squirrels in ONE shot. And those shots were not headshots! I used Gamo Magnum rounds. Great gun great for the price great everything. Things I would have changed: Make sure to install your scope stop or your scope and your rail will inch back, causing alot of frustration. Also some of the manuals were in Spanish. What others should know: If you were thinking of shooting this gun in your backyard like me, go ahead. This gun is pretty quiet but not that quiet. Ive been shooting this air rifle everyday and I dont here complaints. Great gun for the money buy it if you like shooting targets or varmints!